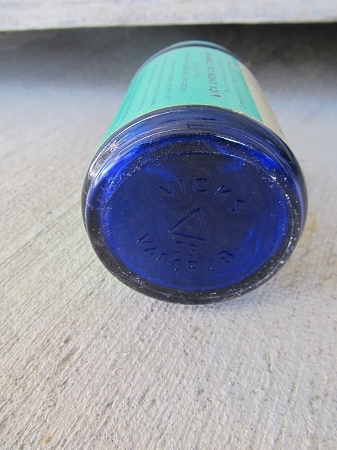 Antique Vintage Vicks VapoRub Vaporizing Ointment Blue Glass Jar Bathroom Decor. I personally love to collect little things like this to mix in with primitives in the bathroom. Love the cobalt blue color of the glass jar. 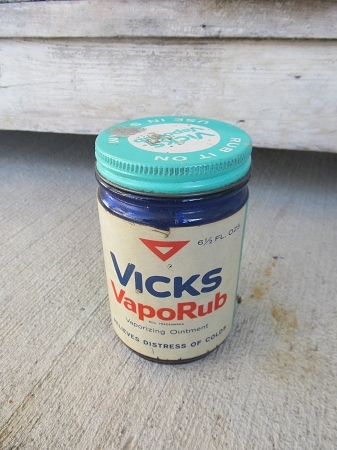 Has Vicks VapoRub and logo in raised print on the bottom. The original lid is with and has a wear mark on the bottom side, but nothing that bad that takes away from the whole piece. 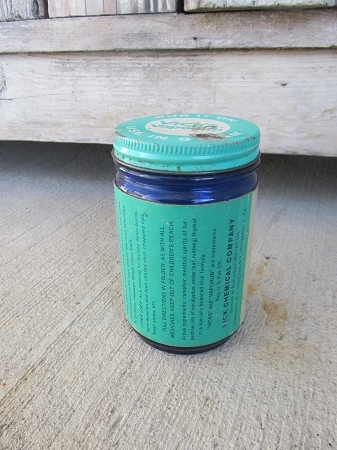 Original paper label also still in tact around the jar. 6 1/2 oz jar. Size is 4" x 2 1/2" round.